So you know how I'm always pretending to be Swedish, or Japanese, or British? Well, now I'm French. I'm on a big la vie Francaise kick. So much so, I of course had to launch yet another Pinterest board devoted to French cuisine, Parisian coolness, and basically just a place to unleash my inner francophile. NOT THAT FRANCO. If I could magically turn myself into some hybrid combo of Marion Cotillard, Audrey Tatou, Juliet Binoche with a little dash of Ines de la Fressange, I TOTALLY WOULD in a hot minute. So I'm going pretend to be French for awhile and create some inspired-by-all-things-francaise posts from time to time over the summer. My recipe comes from a very old cookbook of mine, 'The Best of France: A Cookbook' by Evie Righter and Georgia Downard, and it's the simplest recipe ever. Notes: I typically only use Gruyere cheese, and if you've never had it, when you do ~ you'll swear that you are eating the essence of France. It really is worth using! 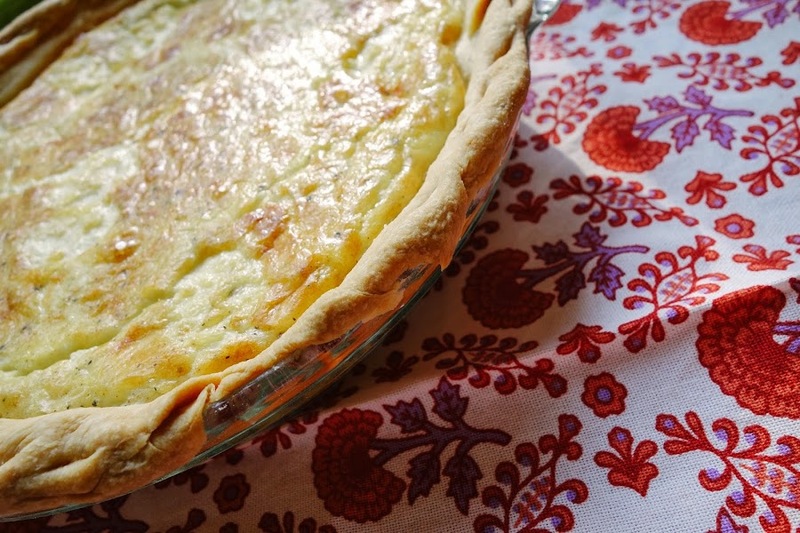 Also, this recipe makes a trembly, barely set, very custardy quiche. 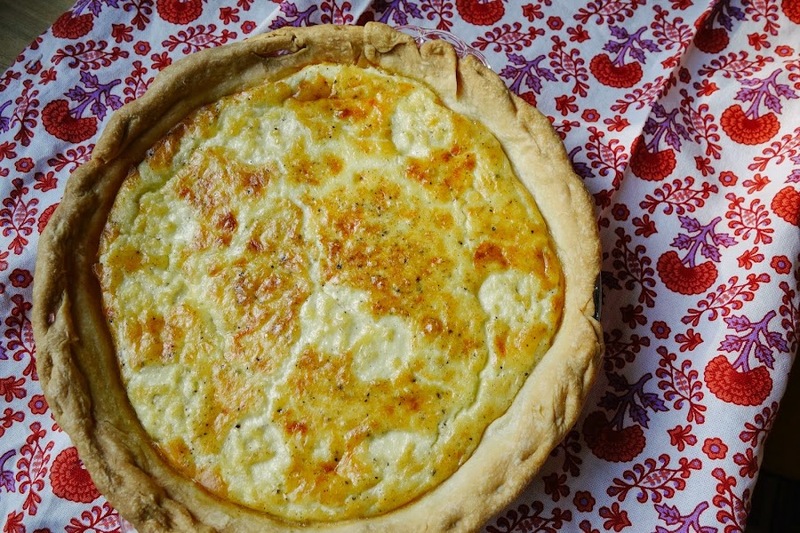 If all you're used to is very firm, 8 egg quiches that slice themselves into perfectly stiff slices, you have arrived at the wrong quiche, ma petites. Try this version! And don't overcook your quiche! Quiches continue to cook and set as they come from the oven. 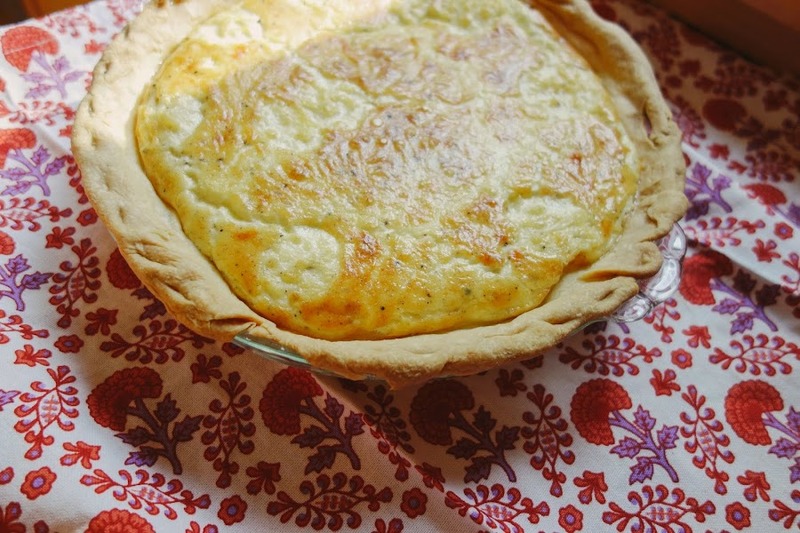 I've overbaked lots of quiches and when that happens, the eggs separate and get watery, and that is yucky, n'est-ce pas? Also, yes, it's a pain, but prebaking your crust yields a better crust. You don't have to, and lots of times I don't, but then the bottom crust tends to get a bit gummy. It's not fatal, but really, it's lots better to prebake the crust for a few minutes. Not TOO much, otherwise the outside ring of crust gets overbrown during the main baking process. It's not as complicated as apparently I'm hellbent on making it out to be. Roll the dough out and fit into a 9 inch pie or tart pan. Chill for 30 minutes. To prebake your crust, preheat oven to 400 degrees. Line the pastry shell with a round of wax paper or foil, and weight it with uncooked rice or dried beans or pie weights. Place the pastry on a baking sheet in the middle of the oven. Bake for 8-10 minutes, until set. Remove the rice or beans and wax paper, and bake the pastry for 4 more minutes. If bubbles form, gently press them back down. Let cool slightly. Lower the oven temp to 375 degrees. So ~ shall we all be French for the summer together? Bien sur! So we're on some sort of weird wavelength, I think - I had Mr. B pick up stuff for quiche at the store yesterday. Ours will be broccoli, or at least half broccoli. Quiche and quesadillas are the only ways Big Sis will eat broccoli. 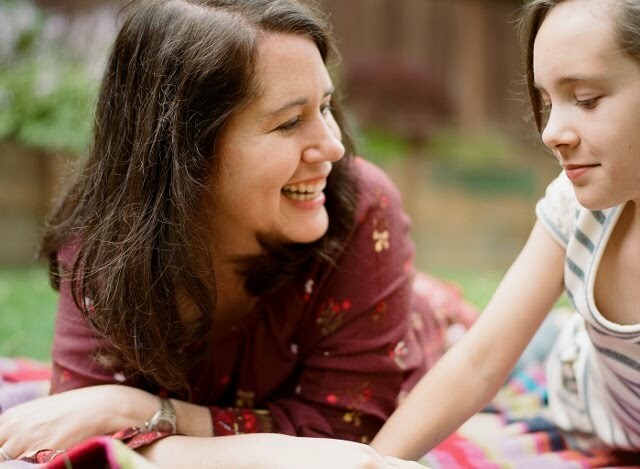 (Little Sis won't, thus the half.) We went through a couple of years where Big Sis loved quiche so much, we would fix it every week. We started making the Bisquick crustless kind, too, just for variety and to save time. It's more of an every-once-in-a-while thing now, but Big Sis begged for a broccoli quiche this week, so here we go! we ARE on the same quiche wavelength!! later this week I'm making a crustless cheddar and broccoli quiche recipe that I have in my 'Keepers' cookbook. I'm hoping that J won't pluck out every bit of broccoli!!! Oh, it looks yummy! I am total quiche lover. I could it several times a week. In fact, I just bought the ingredients to make a spinach quiche this week. I love that you are pretending to be French now... so cool! I am always pretending to be British or Irish or Swedish or something, but now maybe a little french, too... it sounds like fun! That would be "eat it". 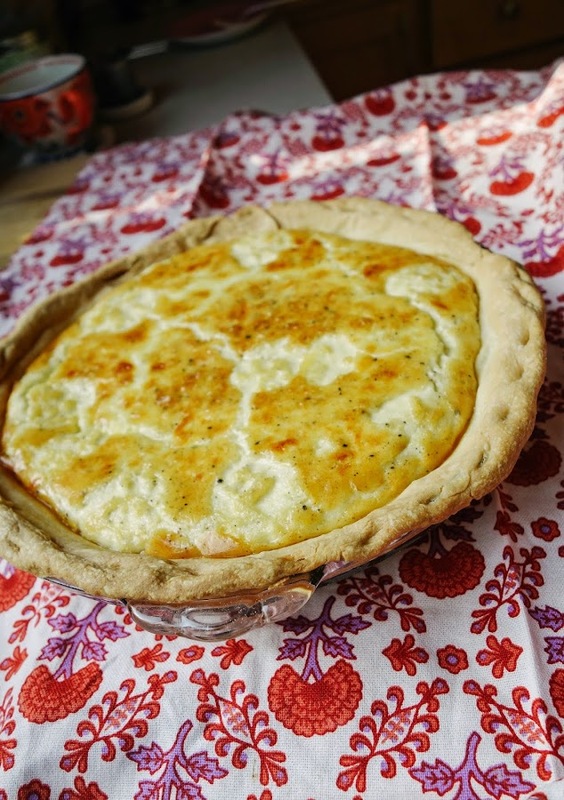 We all have quiche on the brain, it seems :) I tell you, at this rate of so many countries we're pretending to be.....we're going to be quite cosmopolitan!! 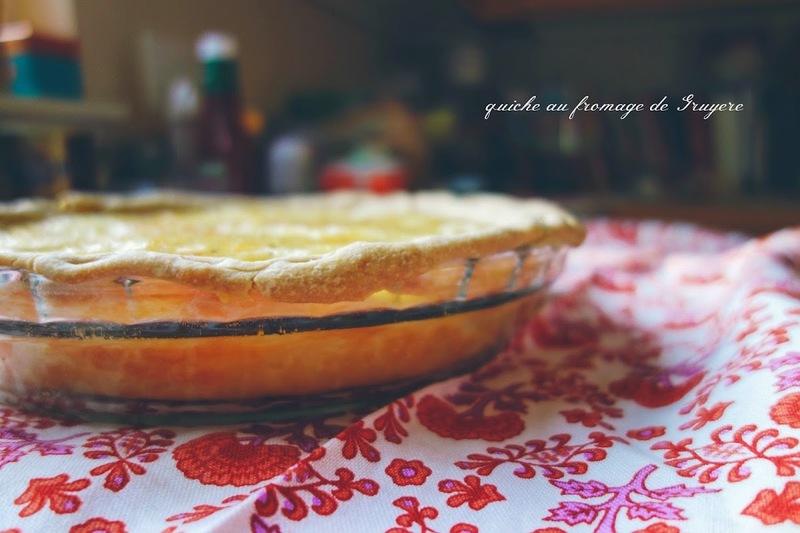 My husband loves quiche but I am not a fan of dairy products so I never attempted to make one! I like the simplicity of your recipe though and how easy you make it seem! My boy would probably like this! I really should try making it because the ingredients are so easy to find. it's reallllllllly easy! Esp if you use a ready made crust. I adore quiche. I've been making it for years. Recently I discovered this close to divine French bakery and her quiche makes me realize my quiche is sooo American. I wish she would teach me. ooooooh how I wish i lived closer to this great French bakery not too far away from me, but just far enough that I really don't get there more than once a year or so. boo! Eeeew watery separated eggs. Blech. Definitely good advice not to overbake. When Paul and I spent a summer in Paris (8 years ago! Can't believe it's been that long! ), we walked across from our apartment to what was basically a convenience store that made its own quiche. We picked up two quiche aux lardons and two cans of Heineken and ate our lunch in the Parc Monceau and watched all the miserable joggers. Why do they always look miserable? Where's that "runner's high"? Anyway, Paul's been telling me we have to get back to Paris and I think he's right.